Home > Adopting Rescue Dogs > Adoptable Senior Dogs > Trevor Adopted! 7 yr old Chihuahua, looking for a quiet home. Trevor Adopted! 7 yr old Chihuahua, looking for a quiet home. Let’s Get Trevor Adopted! 7 yr old Chihuahua, looking for a quiet home. 7 yr old Chihuahua, looking for a quiet home. 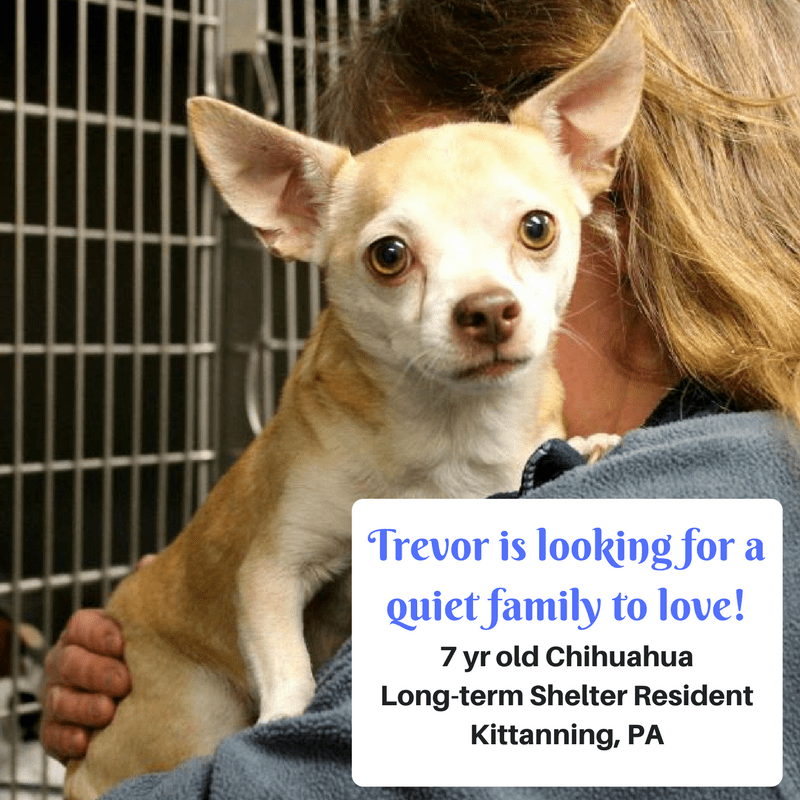 Trevor, 7 yr old Chihuahua, looking for a quiet family to love! Trevor is a 7 yr old male Chihuahua, a longer term resident at Orphans of the Storm (No Kill) Shelter in Kittanning, PA. Just 1 hr from Pittsburgh, PA.
Just look at those beautiful eyes of his. Trevor sure is a handsome fellow. Trevor is looking for a quiet, adult only, forever family to spend his golden years with. He needs a family who will be patient and loving allowing him time to adjust. Trevor can be aloof at first until you win his trust.